If you own a dog or two, it is safe to say that you want them to be as happy and as healthy as possible. And if you are one of those people who worry about their four-legged friends a bit too much, you may find yourself wondering how to know if something is not right with your dog. Now, don’t get us wrong, because there is absolutely nothing wrong with being worried about your dog. However, you don’t necessarily have to call your vet every single time your dog acts weird. While there is nothing wrong with asking your vet for help, you will have an easier time sleeping at night when you know what to look for before seeking professional help. This might help you save some money as well, because – as you probably already know – vet visits are not free. But what if you are the type of person that thinks that their dog will be able to tell them that he or she is sick? This behavior is not good either, because if you act like this, you might miss the subtle signs of illness that your four-legged friend may show when he or she first starts to feel sick. Being able to notice the subtle signs of illness is very important for your dog’s well-being. That is because when you know what those subtle signs look like, you can easily address your dog’s health issues before they get out of control! 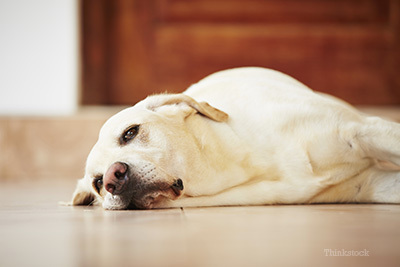 Is Your Dog Really Sick? It can be pretty difficult to tell if your dog is sick or injured. Your dog cannot communicate with you in your native language, which is why you must rely on their actions to guide you. If you spend more time with your dog than anyone else, you can easily tell if there is something wrong with him. Pay close attention to your dog’s body language. Also, make sure to establish a good relationship with your vet. If your dog is not acting like he usually does, the best thing to do is to seek professional help as soon as possible. Waiting could be your worst enemy in this situation. It is better to be safe than sorry, right? A vet will be able to tell you if your dog’s health issue needs to be addressed right away. It all depends on the urgency of the situation. Also, make sure to follow your vet’s advice at all times. Why Dogs Whine So Much? How To Make Your Dog Feel Happy? What Not To Do During Your Pet’s Cancer Treatment?